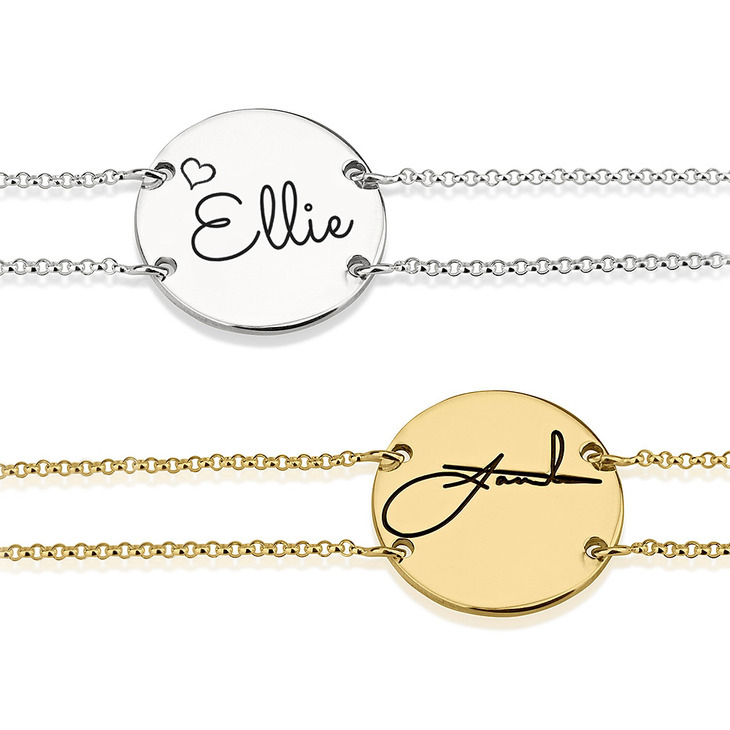 Make a glamorous statement with a Circle Signature Bracelet of your very own, a simple and unique accessory to complement your one-of-a-kind style. This sleek and elegant round signature bracelet, created from quality sterling silver, is also available for gold plating and rose gold plating. Simply send us a picture of a signature, whether it's your own writing or the signature of someone special in your life, and the disc is intricately engraved with an exact copy of the script. Pair with other matching Signature Jewelry for the ultimate customized look. Order now, for an unforgettable statement! 21.7mm x 21.7mm / 0.9" x 0.9"